I don`t looking for macro that does it correctly. I wish to write that macro myself. I need just to know where I make mistake? ..Icon not goes to window header. I can`t localize mistake: it is in resources or in code? upper picture - how window header looks after compile from fasm1 examples, down picture is mine in fasmg with mistake. 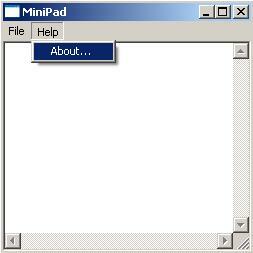 I tryed to see difference in tool of MiTek named exe.exe (freeware) in both "minipad.exe"`s present same resources for icon, menu, group icon - they looks binary identic on first sight. I found solution there was no mistakes. OS shows only group icon with ID = 1 in win header.